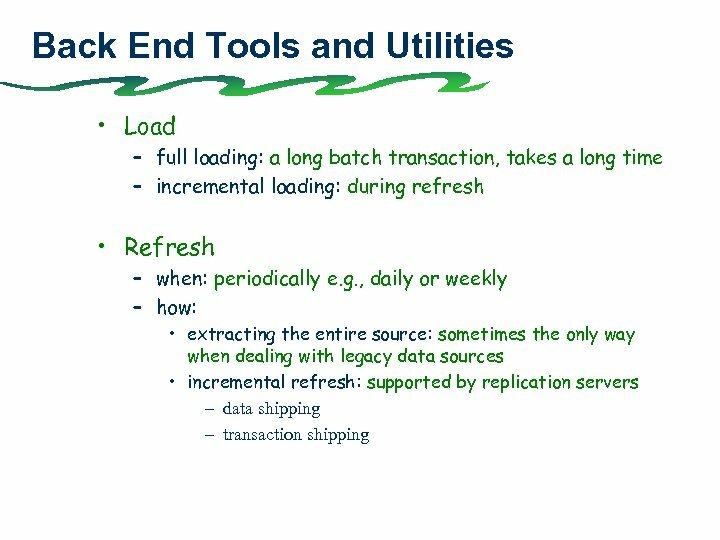 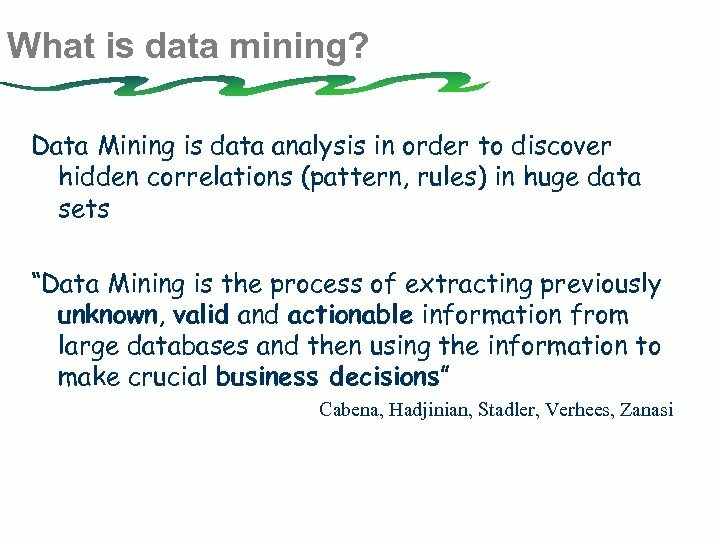 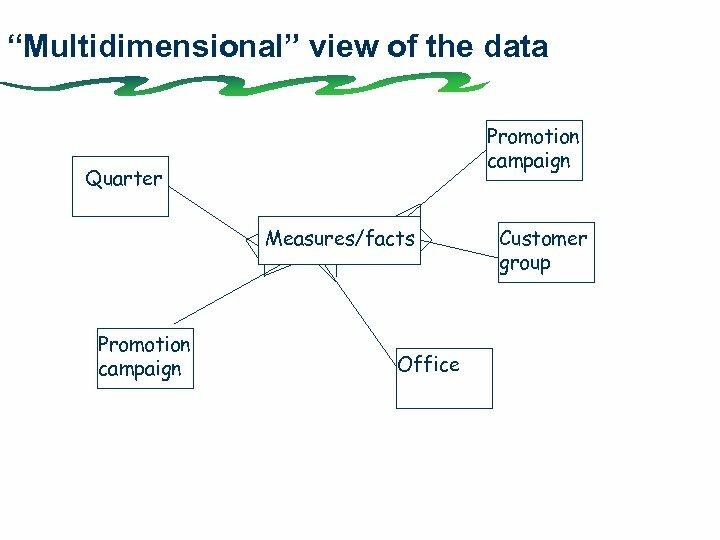 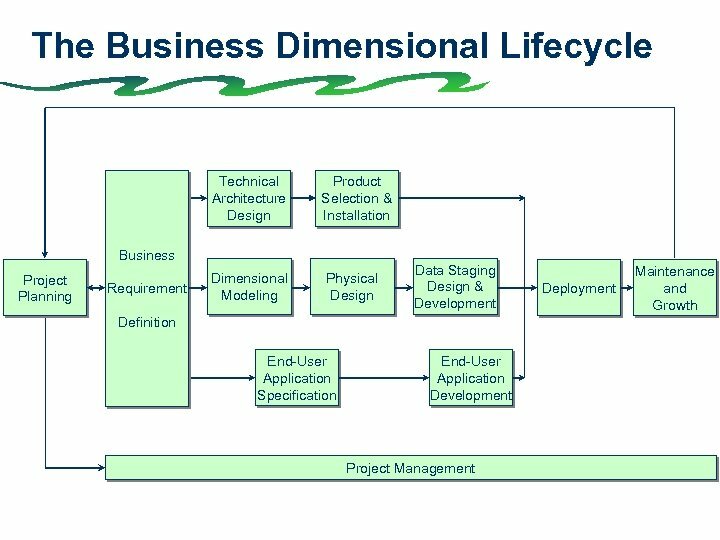 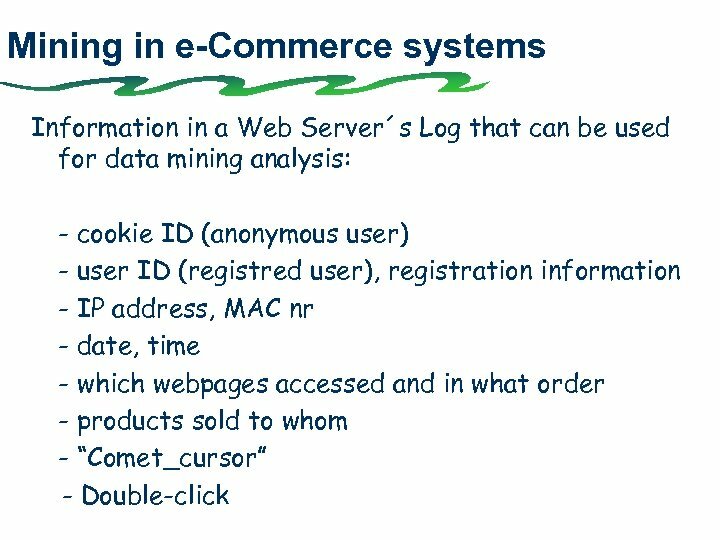 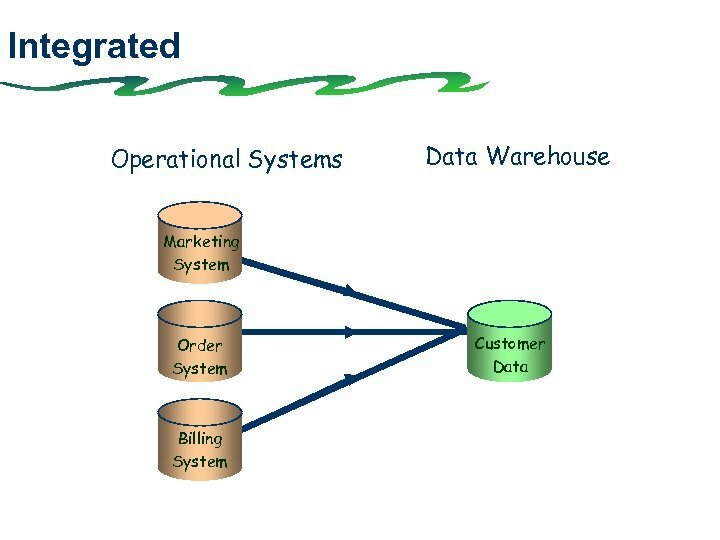 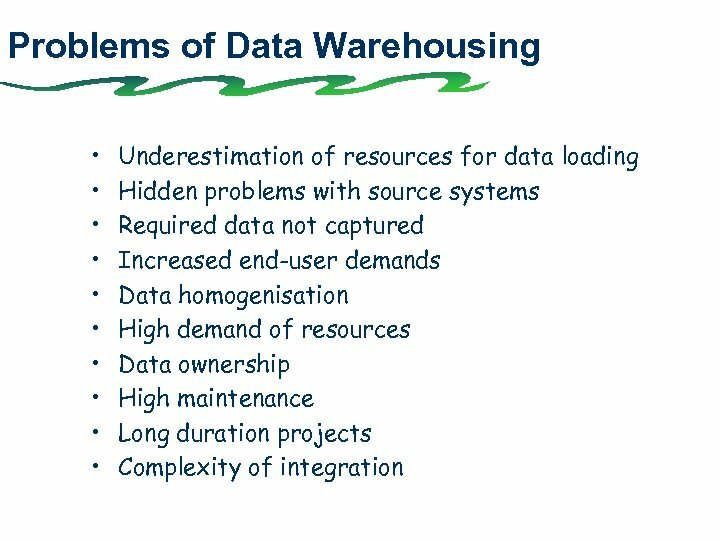 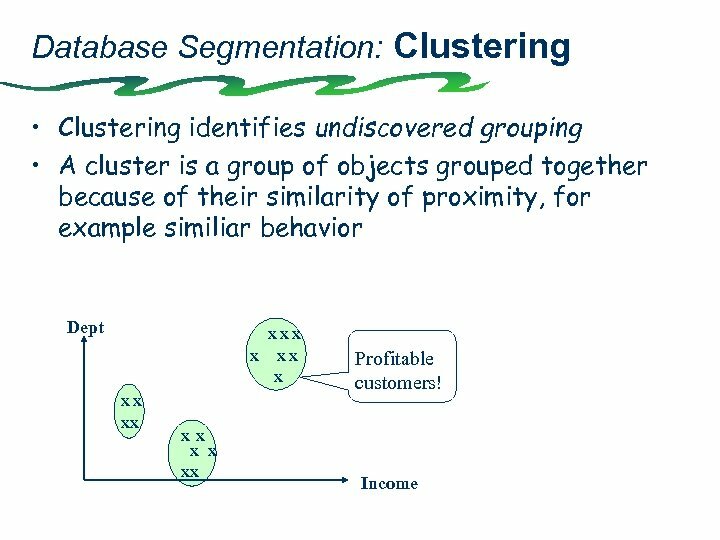 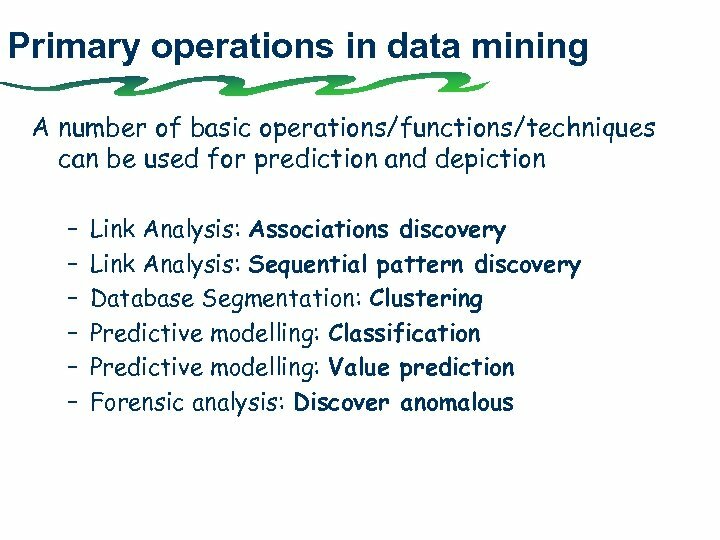 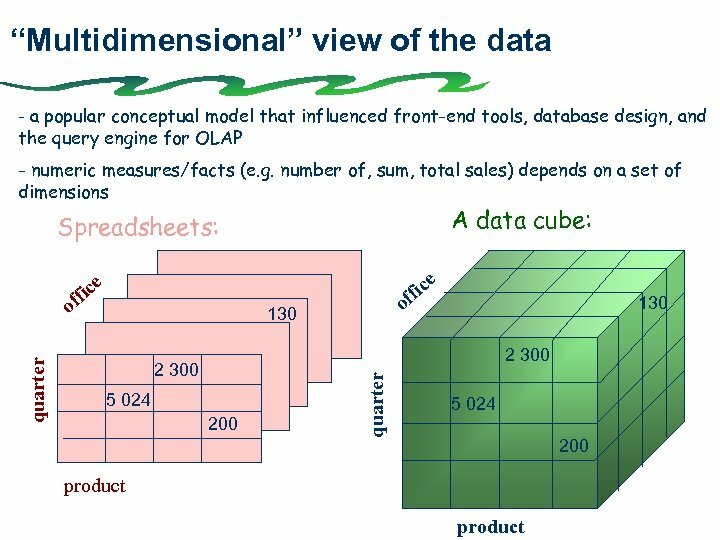 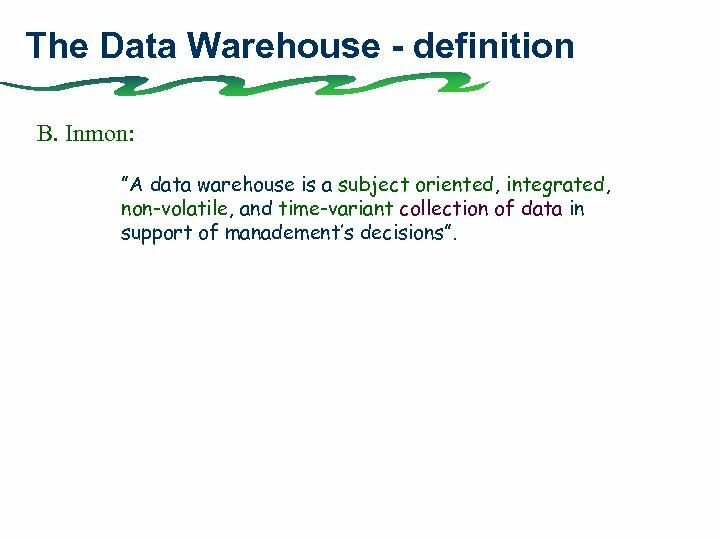 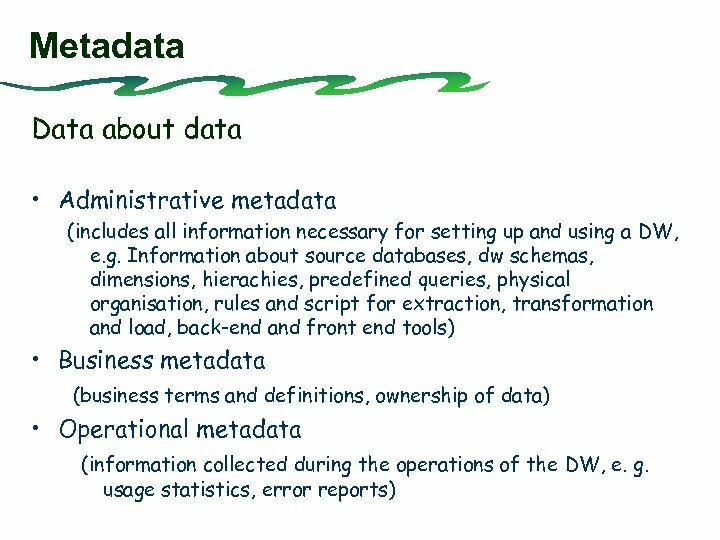 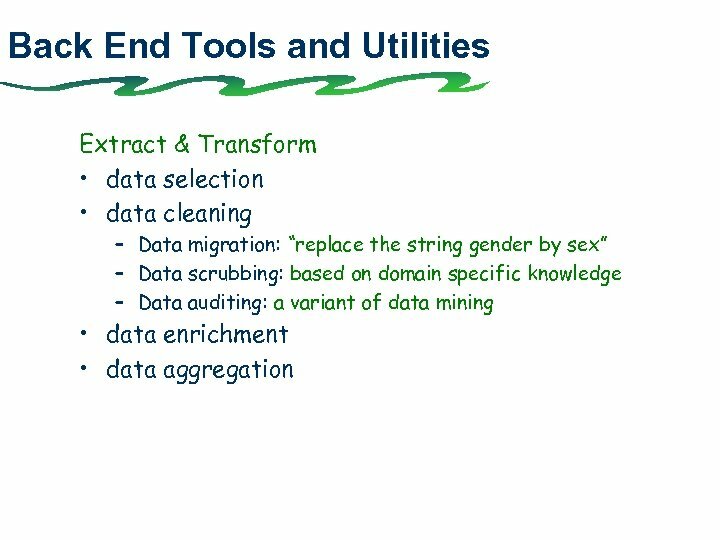 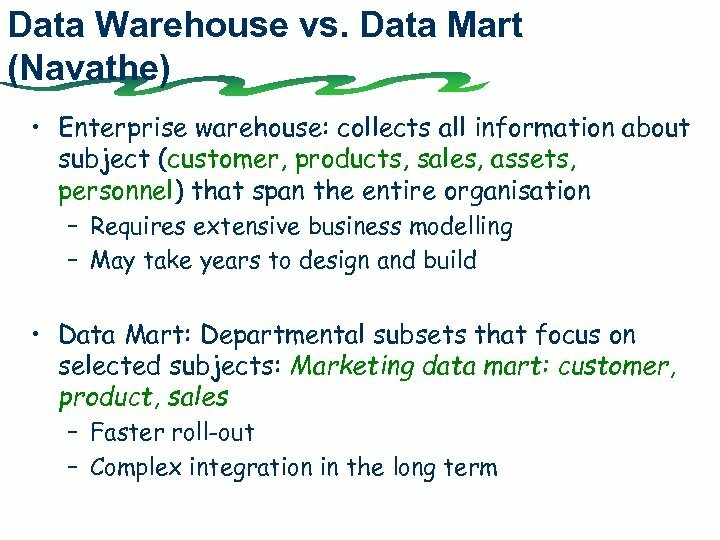 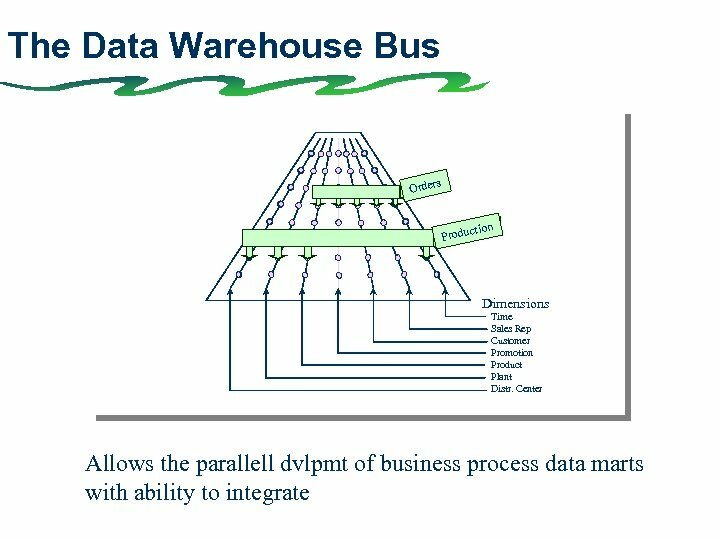 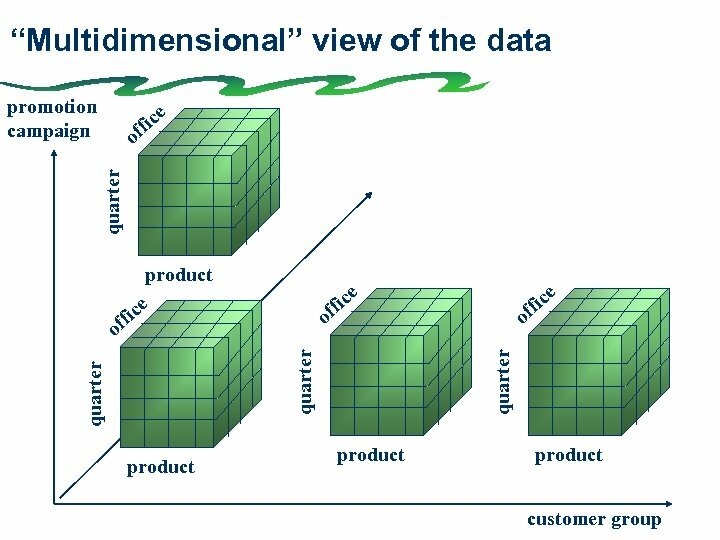 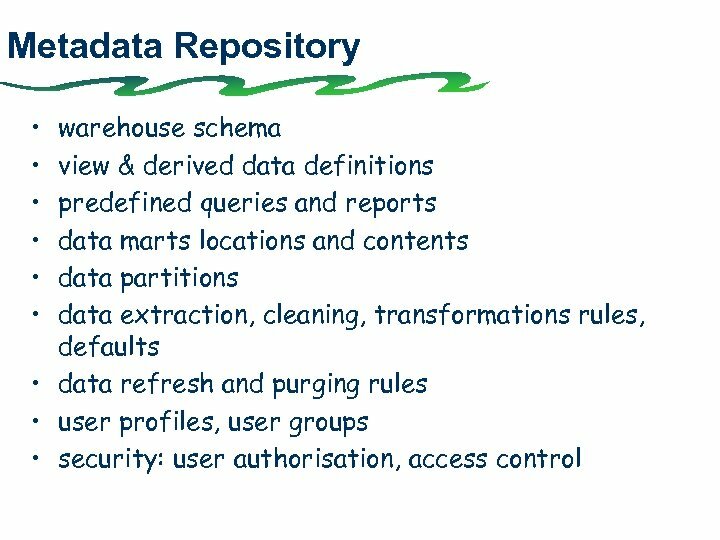 The Data Warehouse - definition B. Inmon: ”A data warehouse is a subject oriented, integrated, non-volatile, and time-variant collection of data in support of manadement’s decisions”. 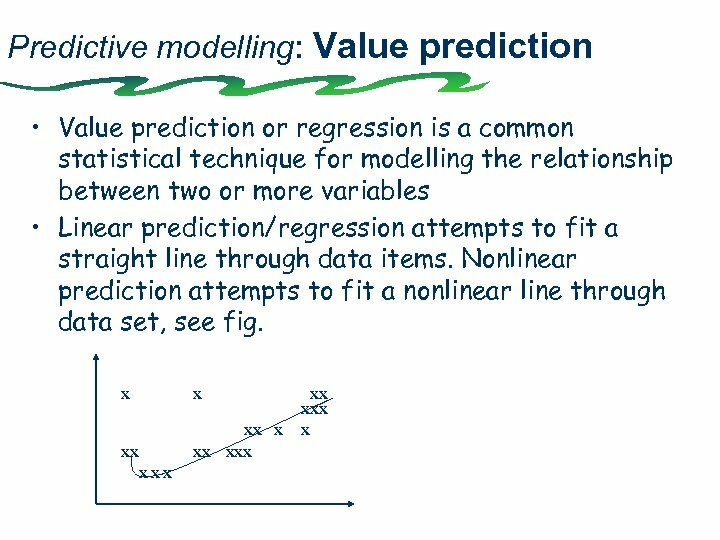 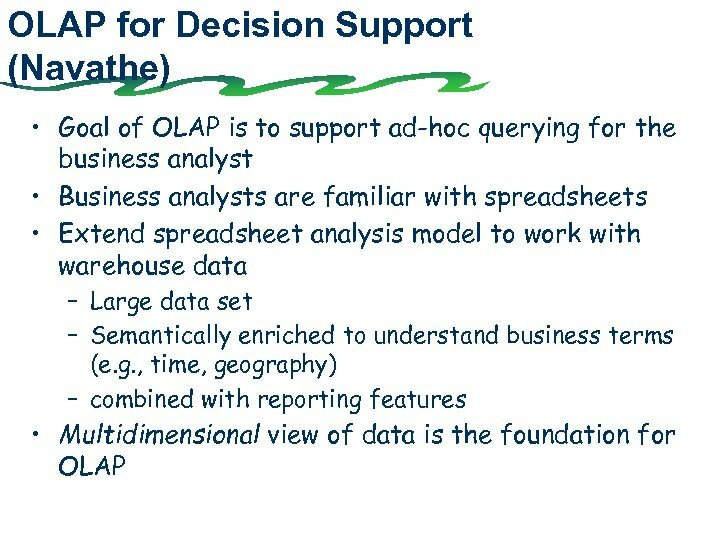 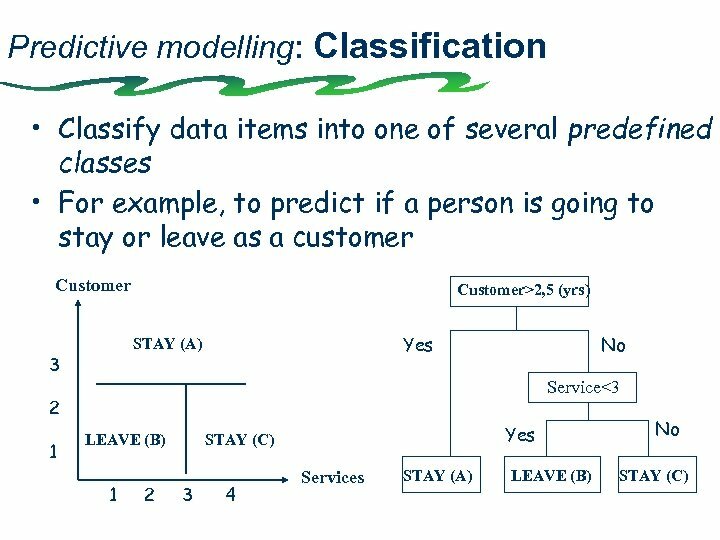 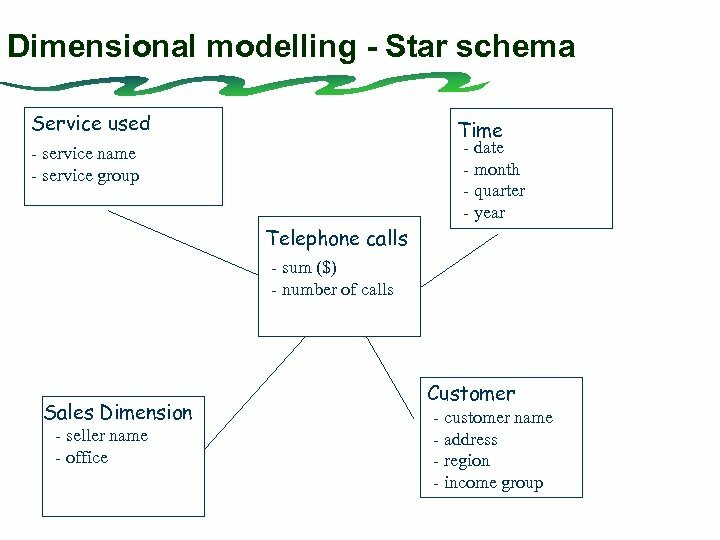 Decision Support and OLAP (by Navathe) • Information technology to help the knowledge worker (executive, manager, analyst) make faster and better decisions. 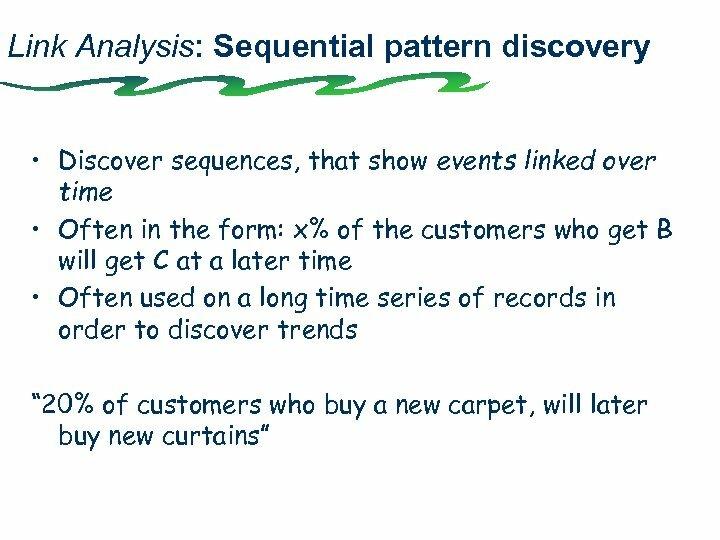 – Will a 10% discount increase sales volume sufficiently? 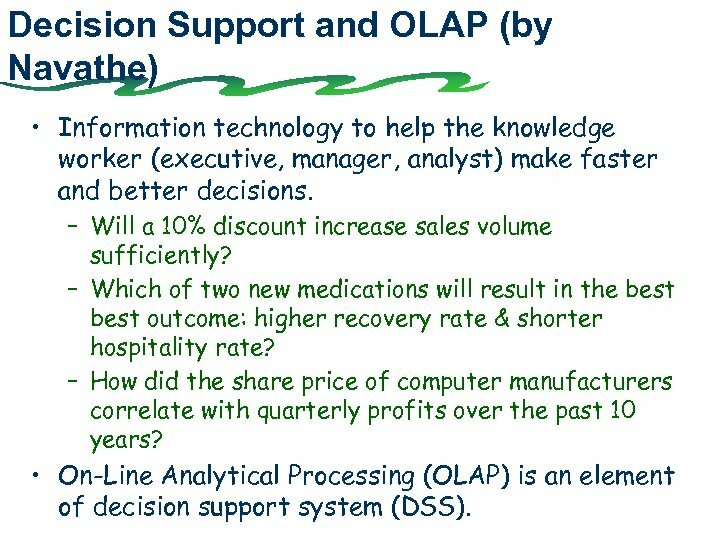 – Which of two new medications will result in the best outcome: higher recovery rate & shorter hospitality rate? 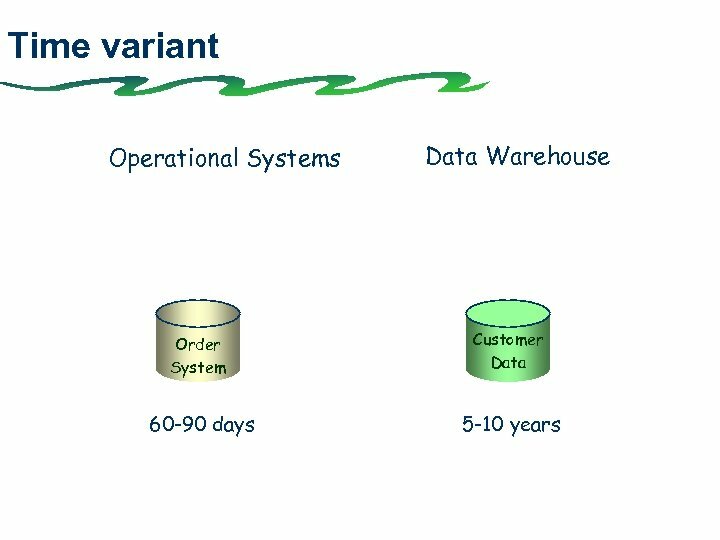 – How did the share price of computer manufacturers correlate with quarterly profits over the past 10 years? 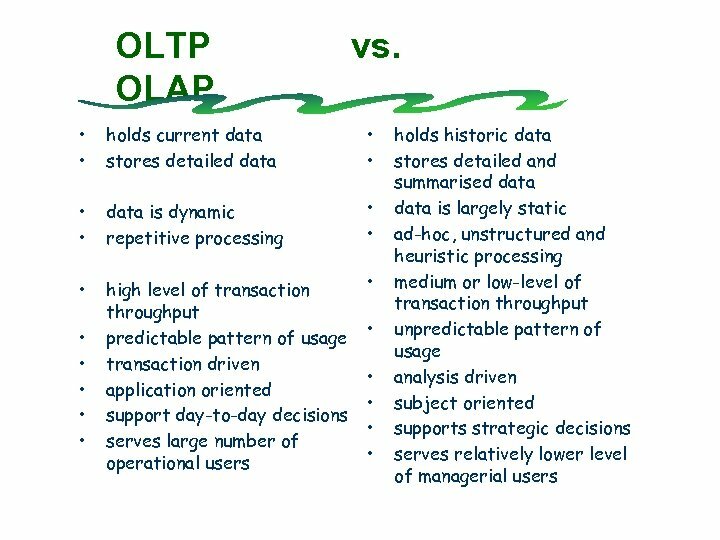 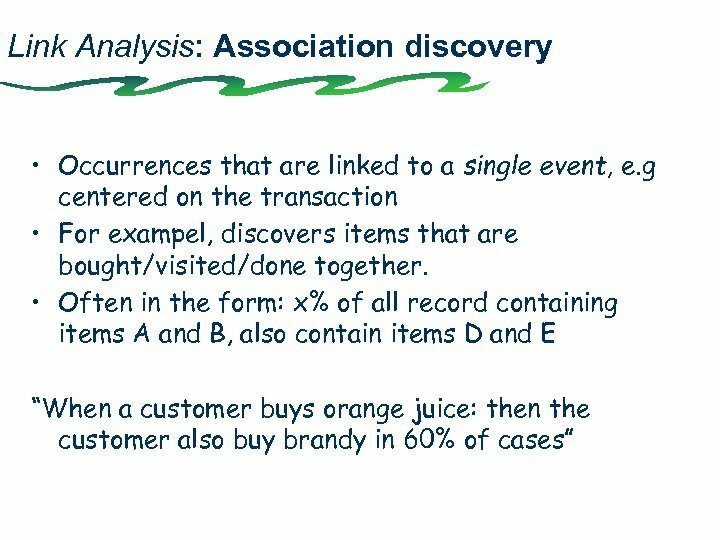 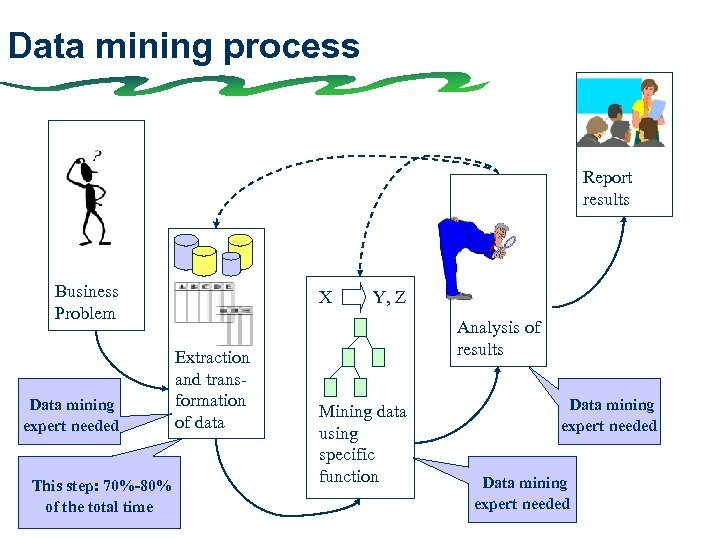 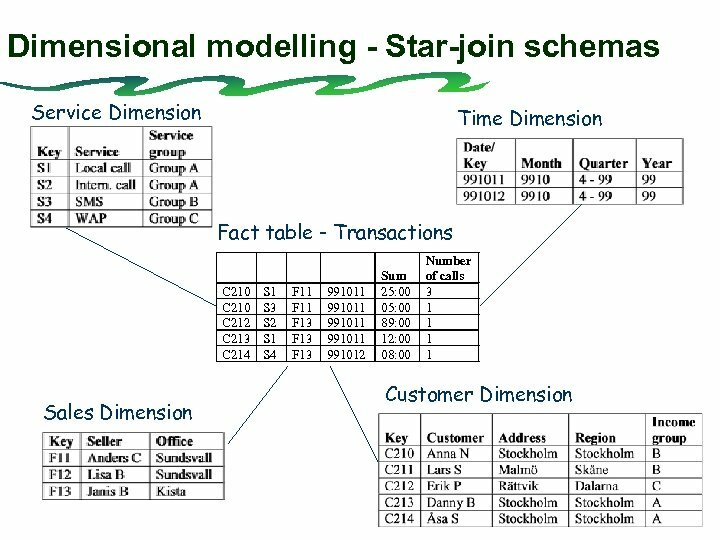 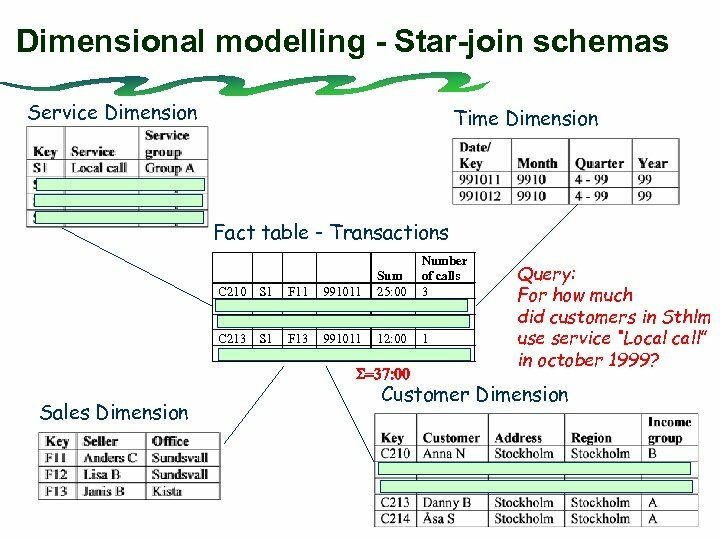 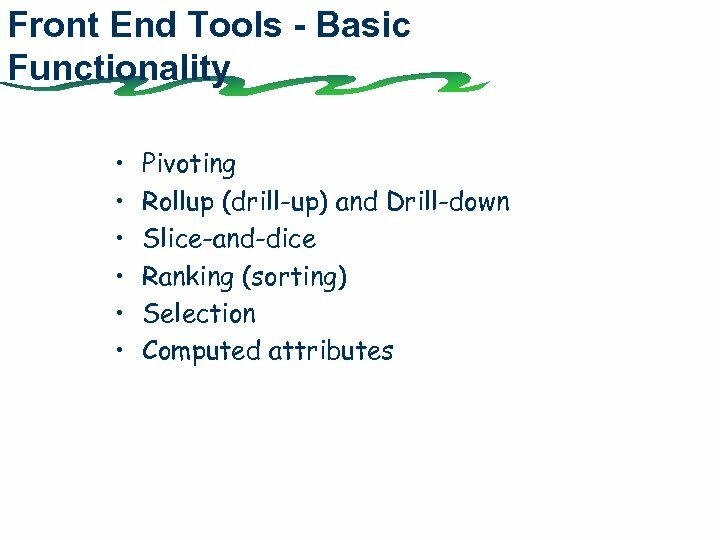 • On-Line Analytical Processing (OLAP) is an element of decision support system (DSS). 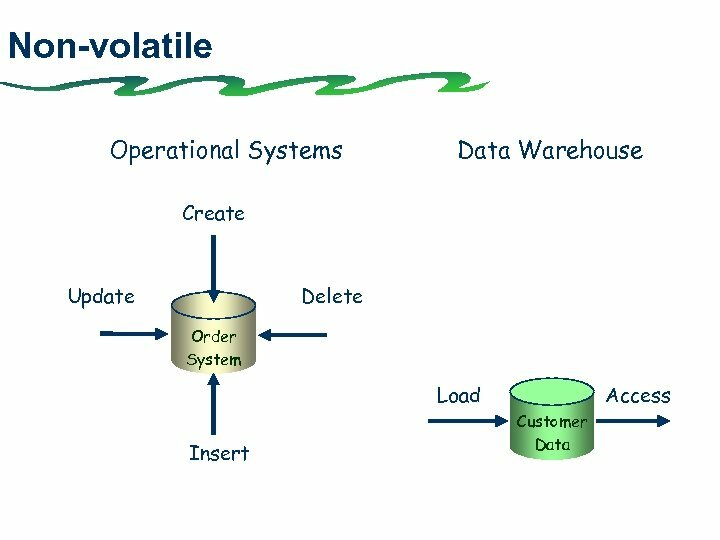 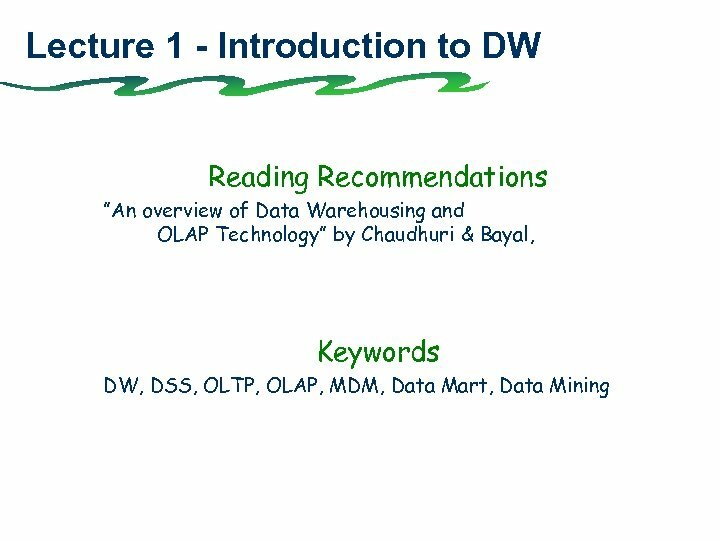 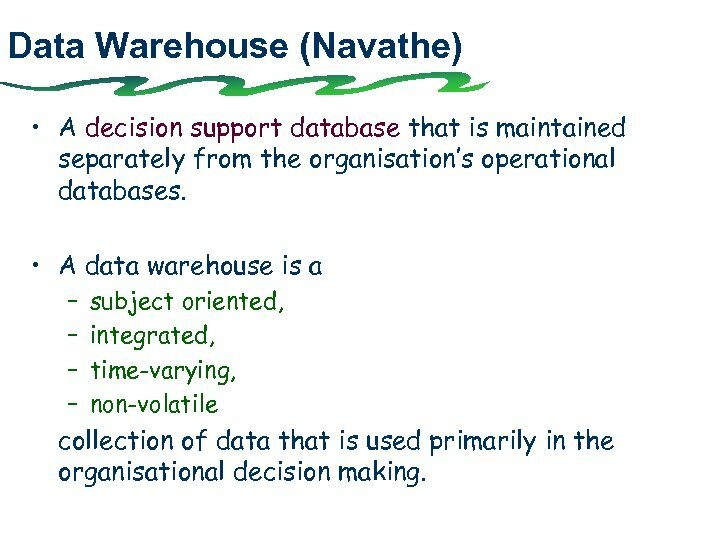 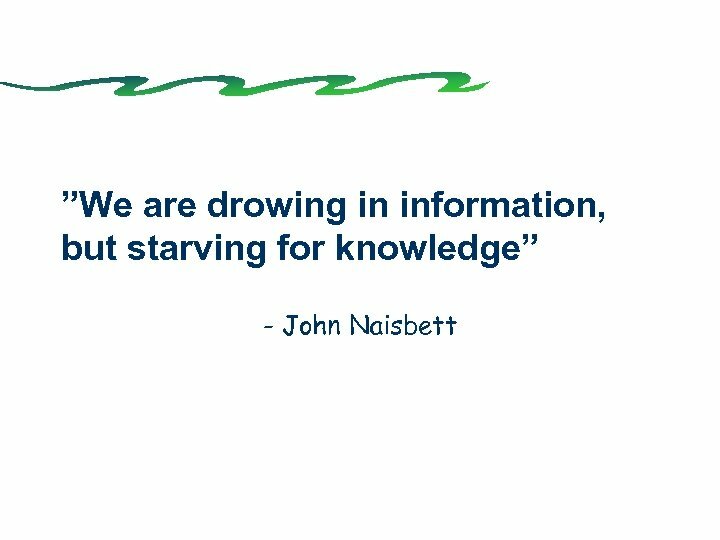 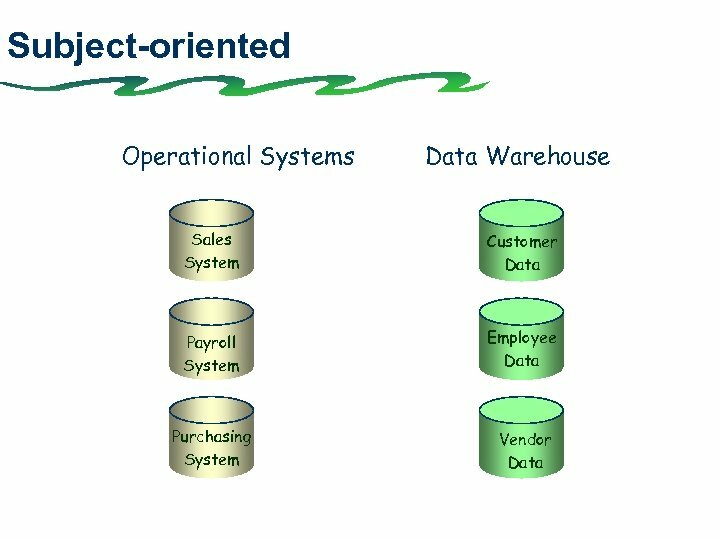 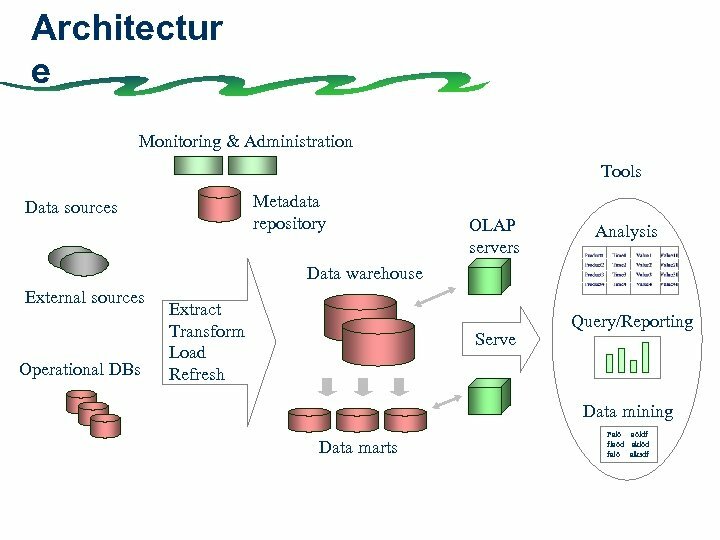 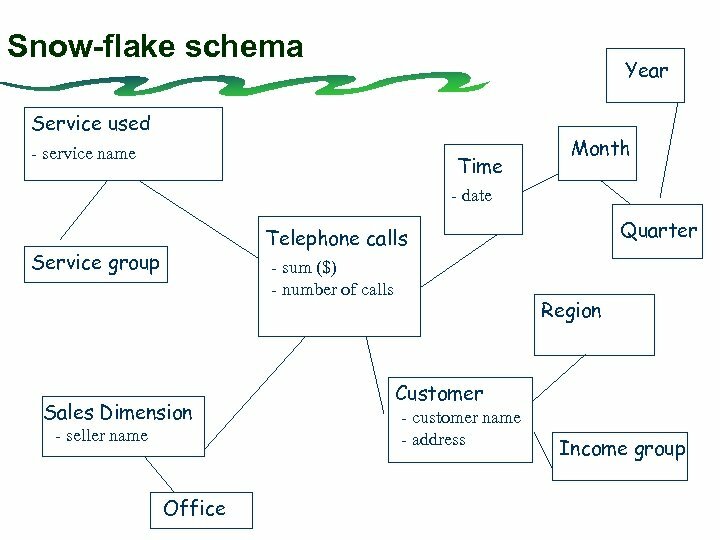 Data Warehouse (Navathe) • A decision support database that is maintained separately from the organisation’s operational databases. 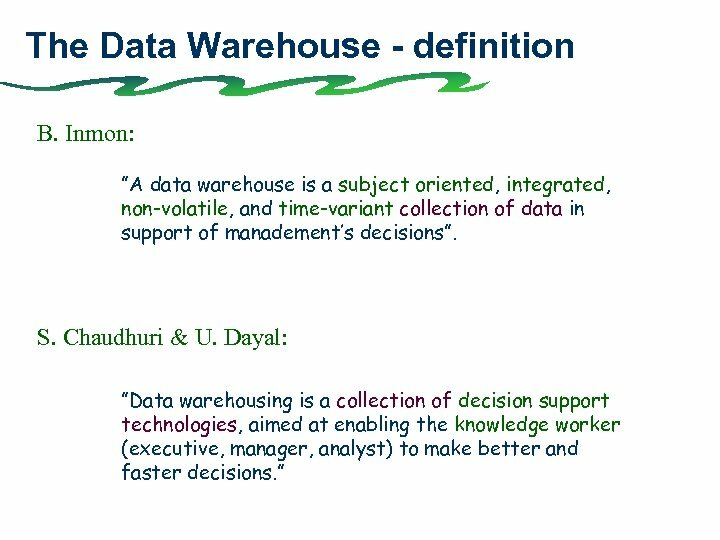 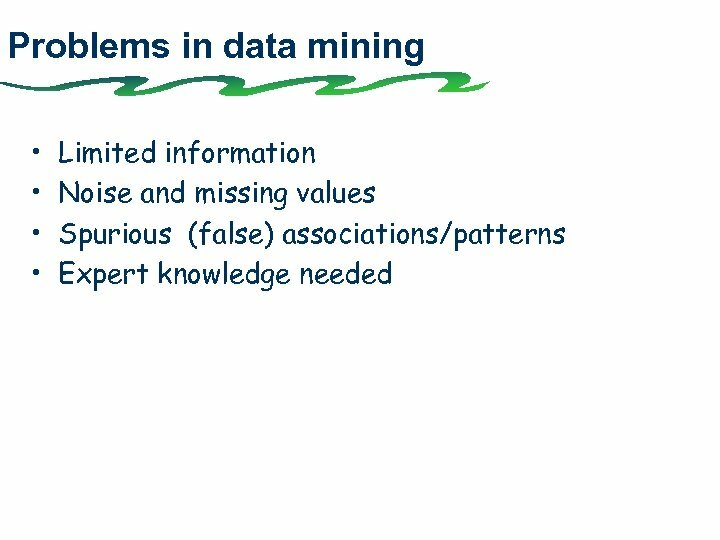 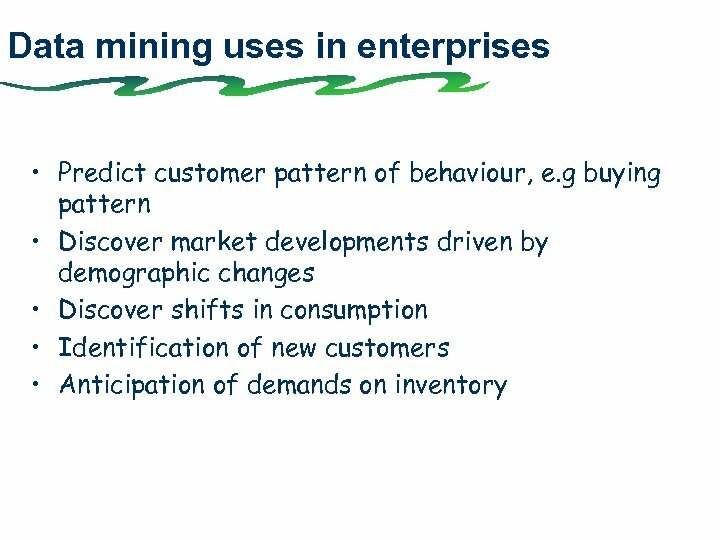 • A data warehouse is a – – subject oriented, integrated, time-varying, non-volatile collection of data that is used primarily in the organisational decision making. 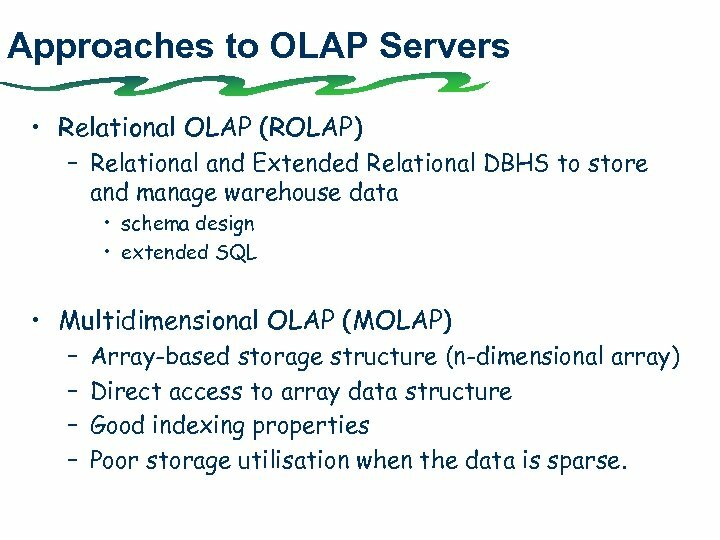 Approaches to OLAP Servers • Relational OLAP (ROLAP) – Relational and Extended Relational DBHS to store and manage warehouse data • schema design • extended SQL • Multidimensional OLAP (MOLAP) – – Array-based storage structure (n-dimensional array) Direct access to array data structure Good indexing properties Poor storage utilisation when the data is sparse.